As the old saying goes, “safety first.” With work vests, there is no exception. Whether you work in a high-traffic environment near roadways or industrial places with vehicles, cranes, winches and more, maintaining high visibility and safety is of the utmost importance. Fortunately, there is a large selection of safety vests available today to keep workers safe while doing the work they love. 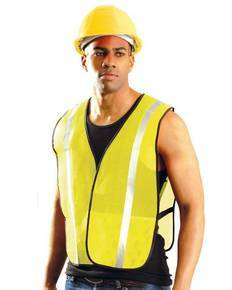 At first glance, high visibility men's work vests appear to offer the same features they always have. 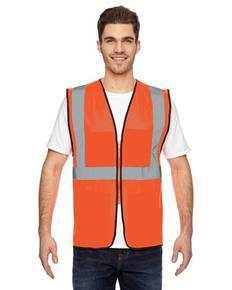 But, thanks to recent improvements and advancements in the safety apparel industry, safety vests now offer greater comfort and function for those who wear them. Certification by The American National Standards Institute (ANSI) has provided classifications (Class 1, 2 & 3). These classifications are designed to help each worker pick the right vest for their particular work environment. 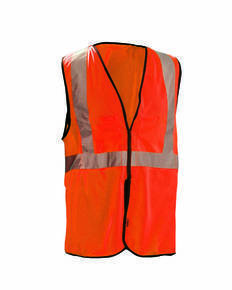 At ShirtSpace, we are excited to offer both Class 2 and Class 3 compliant work vests for high traffic areas. Best of all, in an assortment of safety yellow, orange and green, our work vests will help workers stand out in all the right ways! At ShirtSpace, our team is happy to help you find the specific men’s work vest you need for any job site that you find yourself on. With our prompt shipping, you can look forward to receiving your workwear quickly so that you’re ready to roll when your next job begins!. On top of that, our fantastic team is here to answer any questions that you may have.